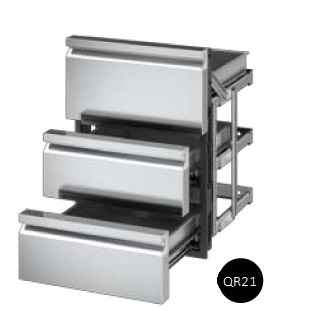 Drawer units with three fronts, three drawer boxes and self-supporting structure completely made of AISI 304 stainless steel. 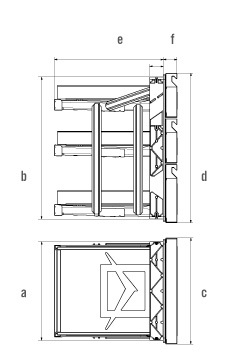 Hermetic closure granted by a magnetic gasket. Specially designed to store BBQ utensils and canned/packed food.